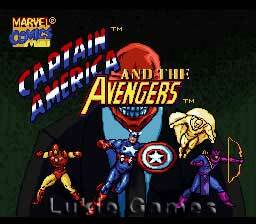 Captain America and the Avengers SNES Super Nintendo Game Cartridge Cleaned Tested and Guaranteed to Work! Red Skull is back with a sinister mind-control device to command the most evil supervillains on earth against the forces of good. The supervillains want to control the universe! 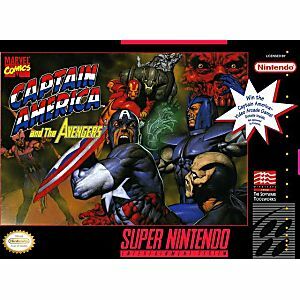 Captain America and the Avengers are the world's last hope in this battle against evil Join Cap, Iron Man, Hawkeye and Vision, as they combine their special powers with your skills in a last ditch effort to defeat Red Skill and his evil henchmen. Succeed, and you're a hero. Fail, and we'll revoke your Avengers security clearance! This is another great snes game that is a bit of a sleeper. 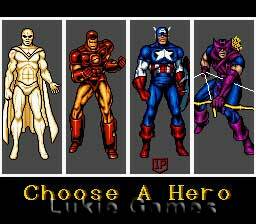 Multiple characters to play as and very challenging. Kind of a butchered port of the arcade game, but has its good spots. It is pretty difficult since your hero will get knocked down with every hit and your enemies get to have the blinking invulnerability advantage, but keep jumping and spamming that special attack. This is a lot more fun with other players but singles can get some enjoyment, too. Another good purchase from Lukie since they had it for a decent price compared to other places. 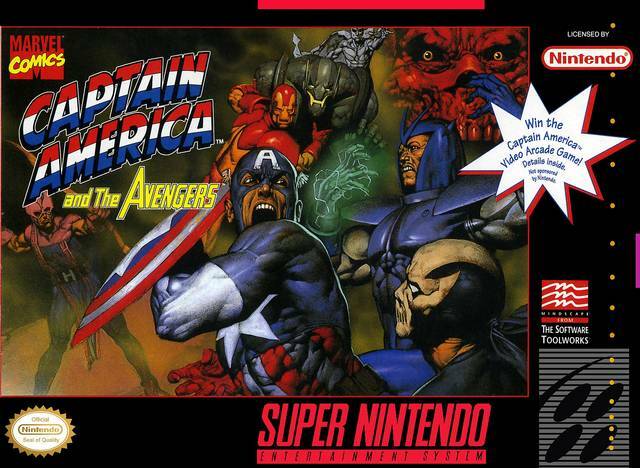 If you have an snes then you have to get this game. As a child I remember playing it and I had such a great time. Had a fun time playing this game! Its fun and brings back memories. The game came in great condition and works great. i recommend to anyone to buy this game and shop here at LUKIE GAMES!!! this game doesn't even give you a chance to fight back. its just incredibly hard from the beginning and it doesn't help with the enemies being able to hit you with no recovery time....i still play it though.